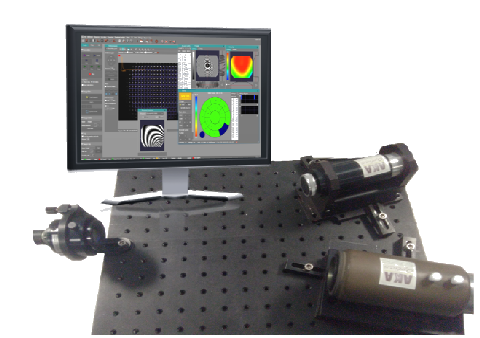 Adaptive optics closed loop systems are made by assembling our deformable mirrors, our wavefront sensors and our software. and in general for all optical systems affected by wavefront aberration. We manufacture our adaptive optics ourselves and we have more than 200 systems operating worldwide. Our systems will be designed by our engineers to meet your needs both in terms of specifications and budget. Measurement of the mirror electrodes response functions. 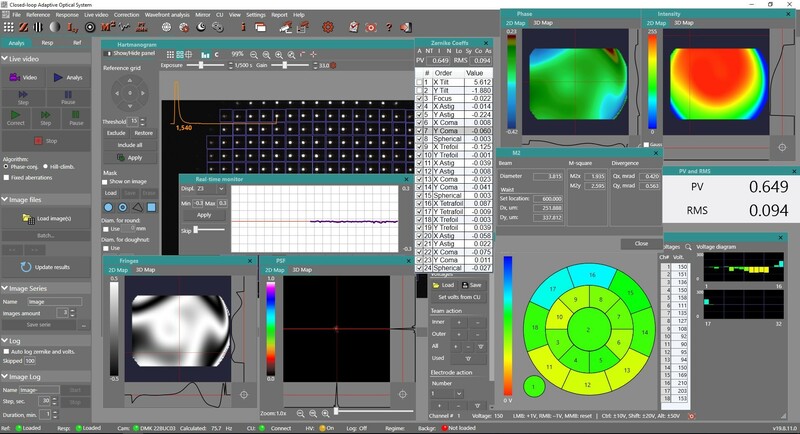 Screen capture of CL10 operating with a 18 electrodes mirror. Note that the fringes are not visible in the window as the wavefront is flatten.